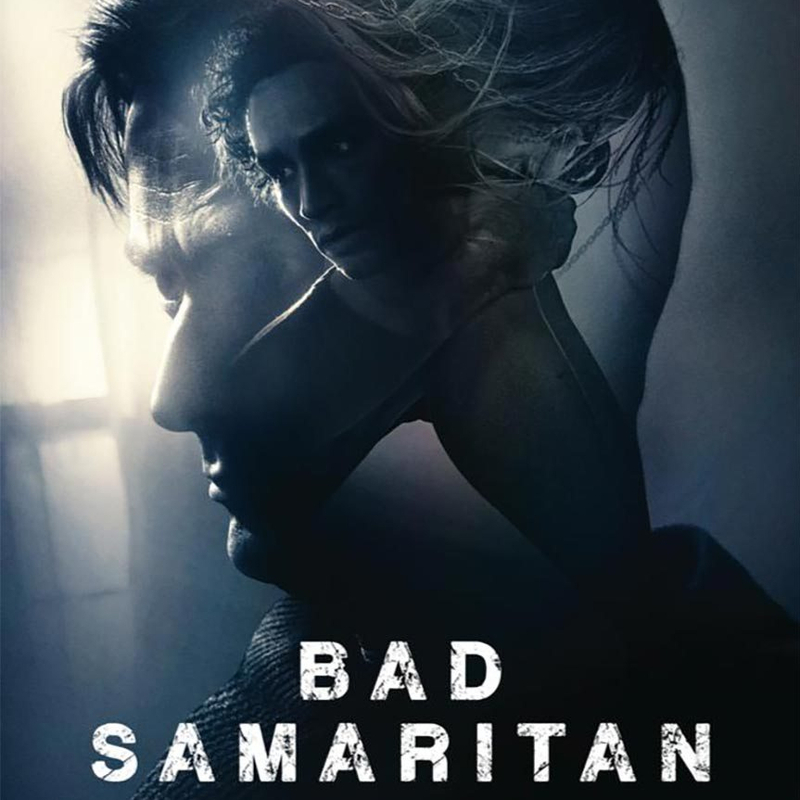 Tag Archives for " serial killer "
While Dean Devlin’s has had a long career as a screenwriter, “Bad Samaritan” is only his second directorial effort. His first effort was last year’s critical stinker “Geostorm”. Just because that was bad though that does not necessarily mean this effort would follow suit but unfortunately it is. This is a shame in a way as there is some genuine talent involved here and a couple of decent performances from David Tennant and Robert Sheehan. The story itself focuses on Sean Falco (Sheehan) a part-time photographer and small-time thief. He gets a surprise while robbing the house of businessman Cale Ehrendreich (Tennant) as he discovers a girl Katie (Condon), chained up in one of the rooms. This scene is one of the few genuinely effective jump scares in the movie as a flash from a camera reveals the shackled girl in the corner of the darkened room. After this discovery, Falco initially tries to free her before he gets scared and runs. This finding then sets off a chain of events where Falco gets trapped in a game of cat-and-mouse with businessman/serial killer Erendreich. In fairness to the film, the tempo is kept high and it is quite watchable but there is a lot of issues here. Chief amongst these issues is the misogynistic nature of the movie. This problem is ironic in a way as you feel the movie is trying to make some comment on toxic masculinity with the character of Erendreich. The film however undercuts any point like this with it’s treatment of the female characters. Particularly as it fails to give even the main female characters Katie and Falco’s girlfriend Riley (Jacqueline Byers) any level of real characterisation. Plus, the way the latter character is side-lined and forgotten about will particularly stick in many a viewer’s throats. Over the course of the movie, there are also plenty of clichés abound. From our reluctant anti-hero to the comic relief best friend to various comically inept cops to the dogged FBI investigator who is obsessed with our villain to Erendrecih himself who is always three steps ahead until the plot says otherwise. Talking of the plot while the movie starts out as a relatively grounded cat-and-mouse thriller it gets increasingly more ridiculous as the plot unfolds. By the end of the film, Tennant is not so much chewing the scenery as devouring it. This fact is not a problem in itself as Tennant whiny thin-skinned and OTT portrayal of Erendreich is one of the highlights of the film. The problem with it is that we have seen Tennant do a very similar character better in “Jessica Jones”. Overall: “Bad Samaritan is a fitfully entertaining and has a couple of standout jumps. However, it is also largely a predictable and clichéd serial-killer thriller made worse by its woeful treatment of its female characters.